ZLINE 30 in. 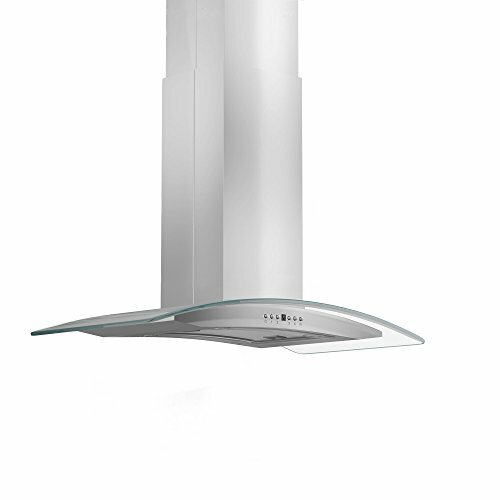 popular stainless steel and glass sleek style of Island Range Hood. Built for years of trouble free use - Easily Convertible to recirculating operation with purchase of carbon filters or standard configuration vents outside - Efficiently and quietly moves large volumes of air and fits ceilings up to 12 ft. with the purchase of the proper ZLINE extensions.